Property has been considered a popular path to wealth for Australians for many years. Buying their own home is often the first significant investment most people make. Purchasing another property may well be the second – even before shares and other assets. However your first investment in property need not be your home. Buying a rental property can be a good way to gain capital growth that can be used later to help buy your own home. Sensible investments in property have many attractions. Property can be less volatile than shares and it tends to be regarded as a safe haven when other assets are declining in value. Many Australians are now tapping into their “pot of gold” – the equity in their home – allowing them to invest for the future and forge ahead financially. Tapping into your home equity (or equity from another investment property), is a great launching platform for buying an investment property. Say your home is valued at $500,000, you owe $150,000 on your mortgage (thereby giving you equity of $350,000) you may want to invest a portion of the equity into another property. Usually the existing loan and the new portion of the loan would be refinanced, however it is common to split these in order to keep the non tax deductible amount clearly differentiated from the deductible investment amount. Your accountant should be able to help with this. The tax man (through tax rebates) and your tenants (through rent) help pay for the investment loan, however sometimes there is a shortfall that needs to be serviced. This should be taken into account when borrowing to ensure that the loan on the investment property can be serviced within your budget and should include some margin for any unexpected interest rate rises. Then all you need to do is sit back and let the property take its course with capital gains generating some additional equity over the next seven to ten years as it has proved to do so (even in tough times) over the last century. Once you learn this strategy you can repeat it as often as you want, provided you can repay the borrowings. Australia currently faces a chronic housing shortage which, coupled with a rapidly expanding population (through natural increase and immigration), has pushed rental vacancy rates to historic lows and put upward pressure on rents. There are simply not enough houses to go around. An investment plan is one that works towards building your wealth and securing your financial freedom. For some, the future may seem a long way off, but the time to act is now because the future waits for no one. The housing market is generally a seven to ten year cycle: there are always highs, lows and steady patches. 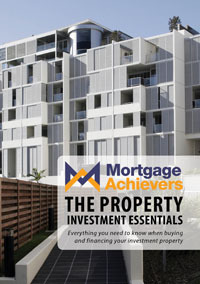 Everything you need to know about buying and investing in property, click here.